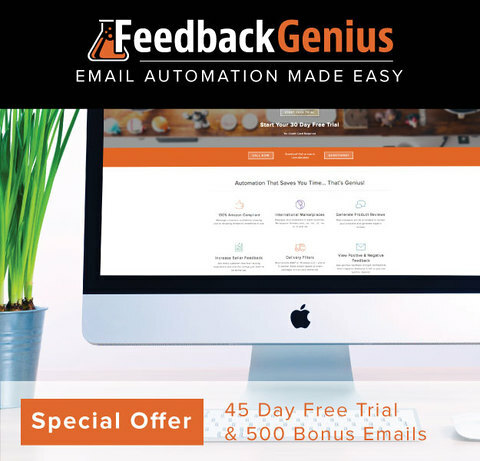 FEEDBACK GENIUS – Get the Buy Box more with real feedback! Sign up for our weekly newsletter! Never miss an episode or blog post! Get 25 things to outsource in your business for signing up! NG has figured out what it takes to be a character. Oh and he has figured out that a character is what it takes to get recognized in today’s social media world. Great discussion abut how to find the right group to help your brand. Surprisingly it might not be the super mega insta-famous types who you automatically think of. More likely the person might have a lot more in common with you than you realize. Freeeup– Save 10% (forever) and get an instant $25.00 voucher for your first hire. NG: 00:00:07 for what you do otherwise, but everyone can tell that they don’t have a heart and they don’t have alignment with what you do. Cool voice guy: 00:00:14 Welcome to the ecommerce momentum where we focus on the people, the products, and the process of selling. Today. Here’s your host. Steven Peterson. Stephen: 00:00:28 Yeah, this is going to be a good episode. Hey, just wanted to jump in with a couple of things. There’s a couple notes about some things going on with Andy and myself at our warehouse. Some opportunities to work with us. I’m going to get them in a second, but first up, man, I’m, I’ve kind of mentioned something. I hope you’ve saw this. Um, one of my sponsors, seller labs was recently honored as one of the top companies, the top fastest growing companies in the United States. And they looked at the top 5,000 and these guys didn’t make, you know, number 4,000 or 3000 or 2000 or 1000 or 800, 500. Now they’ve made the $148, I think it was. I mean, just imagine that what’s it take to be number 148 out of 5,000 that were recognized and you know, it’s just an honor to be recognized now to be 148. Stephen: 00:01:19 It’s a big deal and you know, I know, yes, they pay me and all that kind of jazz, but again, you hear me talk about consistency over time and when you see a company that’s doing these kinds of things, it takes really strong leadership. When you, when you hire services that we all pay for service, I’ve got a lot of them and when I recommend a these companies that I recommend, it’s because I use their services right over time. What I love is this is you go to an event and there’s jeff or tyler, one of them are always our ed are always at the event because you can go and give them feedback, right? Feedback genius gets better because you give them feedback and they help improve the product. They’re always at every event and they’re willing to talk with you. They’re there to talk to you. Stephen: 00:02:00 How many companies do that? You know, it’s easy to. I get these companies all the time. Hey, you know, would you let me promote, I got one right now. Would you let me promote and will want to sponsor in a that mom, no, I don’t know you, I’m sorry. And your new then maybe you do have the best company. But again, I’m looking at it over time and again for similar labs to be recognized across the country and that just to make the list of $5,000 a huge deal, but to be on number 148, that’s a really big deal. So, you know, Jeff Cohen, a Brendan check hurts. Um, and uh, Hank, sorry guys. Um, it’s just so exciting for me. The leadership that you guys have put together for this company. It’s phenomenal. And it just said something about you. So I 100 percent solution, so I just don’t want to miss that. Stephen: 00:02:45 That is such a big deal. Um, that’s why I think you should be with sellerlabs. Look at all the product scope, right? Ignite, take a look at a feedback genius. All those products that they have, right? They’re doing advertising. All that stuff is there to help you, but they’re going to be there next year and I think that’s the thing. You want to remember how many companies have we seen come in and go out because they moved on to the next thing, cryptocurrency and all the rest of the, you know, and I don’t fault him, but that’s not the kind of company you want to be with. You want to be with a company that’s going to be here for the long haul that’s going to help build that brand that we’re all trying to build and then help you take it to the next level. Stephen: 00:03:18 So our labs well done. I applaud you. Very, very cool. Another big one with one of my sponsors is Gaye Lisbey’s group. You’ve heard me talk about it. It’s cute fours coming and all that kind of stuff, but what’s very cool is she’s now given me a special two week free trial. We’re the only ones who have it. You get a free trial if you’re interested in a sourcing group, daily product, find, um, and I’m going to have an announcement in the next week or two with a special bonus thing that you get if you joined, but try sign up for two weeks, try it and then sit back and say, is my business better off? Am I in a better position for q four? And my theory is this, have a strong q four to get the cashflow. So you can build next year’s business. You should be building next year’s business. Stephen: 00:04:03 How are you going to do that? You need the money. You use this as an opportunity. I just think it’s phenomenal. So it’s um, you go to amazing freedom.com, forward slash momentum, hyphen arbitrage. Yes. It’s a mouthful. Amazing freedom.com, forward slash momentum, hyphen arbitrage. And you get that two weeks free. It’s phenomenal. And last but not least, I don’t want to Miss Karen lunker solutions for ecommerce. She’s doing listings for me this week for all these new private label products we have going up. And it’s unbelievable. You know, I just send them to her with some information and boom, they do it, they test it. Now here’s a better example, there was a listing. It’s a wholesale account that we have. And um, I said, hey, could you get these four or five photos added on? Um, now I didn’t deal with Karen idea with some of our team members, which I have my own, you know, assigned person for my team, which is phenomenal. Stephen: 00:04:55 And she was like, Hey Steve, I’m having trouble. I’m waiting for them to link or whatever. She followed through. And then eventually she said, oh, state, go take a look. They’re up. That kind of service is what I’m looking for and that’s what I get from Karen’s lockers team. It’s solutions four ecommerce solutions, four ecommerce forward slash momentum and you’re going to save 50 bucks and which is great and it’s 50 bucks every month from there on out. Okay. And so consider that, and if you have any questions, whatever message me or message Karen, but solutions the number for ecommerce forward slash momentum. And Man, I just love, love, love the service. So back to andy and myself. So what we’re doing at the warehouse, we have a couple of things going on. So we have, we have our fifth client coming board now. We’re not a fulfillment company, we’re not in that world. Stephen: 00:05:40 We just have some storage space and some relatively lower cost. And the good news is we’re only an hour from avp so if you send a lot of material, the AVP, it’s, it’s very convenient here because it’ll check in usually that day or the next day, but we have a loading dock so we can hinder pallets and we ship out by the pilot. That’s the way prefer to do it. Um, but we have a couple openings if you’re interested in working with us. We’re not interested in doing any ra or just be, can we just not, we don’t live at that warehouse, right? Um, but we can work, uh, especially for pallets, containers and stuff like that. Um, and we have a couple wholesale clients but mostly private label. If you’re interested in joining us, you want to message Andy, Andy [inaudible] a private, message him on facebook and start the conversation. And that eventually we’ll get into it if you’re interested in that. Stephen: 00:06:28 Second thing we’re doing is we are actually going to hold the summit. We’re gonna hold a summit in September 22nd, I believe the date is and he’s going to talk more about that. But if you’ve been interested in finding out what it takes to run a successful full time or part time, I mean, I’m part time, so I’m, I’m pretty good example of part time, but a habit, an Ra business doing over 3 million, I think it is. 10 Wentworth is joining us for this summit and Andy’s going to be bringing in his private label, his wholesale and is Ra. Remember Andy used to do Ra and we’re going to bring this whole thing into a conversation. Very, very limited group. I’m not very large, but it’s a workshop type of deal. It’s in our warehouse. We’re actually going to let you see behind the curtains. Um, who else is willing to do that? So if you’re interested in that message and about summit, you want to get on that list and find out some more information. He’s going to be talking about it over the next few weeks, but I just wanted to get that there. Now let’s really get into the podcast. 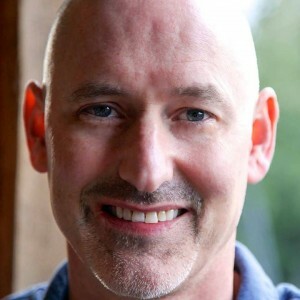 New Speaker: 00:07:28 Welcome back to the ECOMMERCE momentum podcast. This is episode 334. Ng Gordon name is known but goes by Ng because people struggle messing up the name just like I probably did. Very cool dude. Very cool. Because he’s an Amazon sellers, ben and Amazon seller for a long time, so perspective. He understands what we go through, where he understands that it’s evolving. He understands that the marketplaces evolve, but what was very cool was quite a long time ago when instagram first was coming out. He got on there and he created a persona and he explains that and the value of that persona becoming an influencer. He kind of created his own influencer because they weren’t at. He didn’t know what they were, didn’t even know what to call them at that time. Now that they exist, he helps people figure out ways to use them the right ways to help build your brand up and I don’t know a lot of ways. New Speaker: 00:08:24 One of the coolest things he does is on his website and I have all the links to that. He gives you a copy of a contract that you can use free download and you’re allowed to use it so you can modify it for yourself and that helps create the expectation. One of the coolest things, if you’re going to work with somebody and they’re like, oh, we don’t need a contract. That’s probably somebody you don’t want to work with because you really are looking for a professional. He, he said something and it like the light went on when we were talking, when he talked about, you know when you hire a graphic designer and they do good work for you, you hire him again, right? You do like common sense, right? That right. Or somebody who does seo work for you and they works. Then you hire them again. New Speaker: 00:08:59 What you want to start thinking of influencers as a talent and you hire talent if it works for you, and then you hire them again and it’s like, Huh, I guess I didn’t realize that this influencer thing has become a job. And then when you think of the Kardashians, right? The extreme example, the true outliers, they’ve been able to make that. I mean, what do they do? That’s it. They’re influencers, right? Well, micro influencers, which I was not familiar with that term. He does a good job of explaining it there available for people like us and it’s a lot less money than you think even gives us that information. Very smart dude. Very cool. And just a neat, neat approach. And uh, I just think he brought a lot of value. Let’s get into the podcast. Alright. 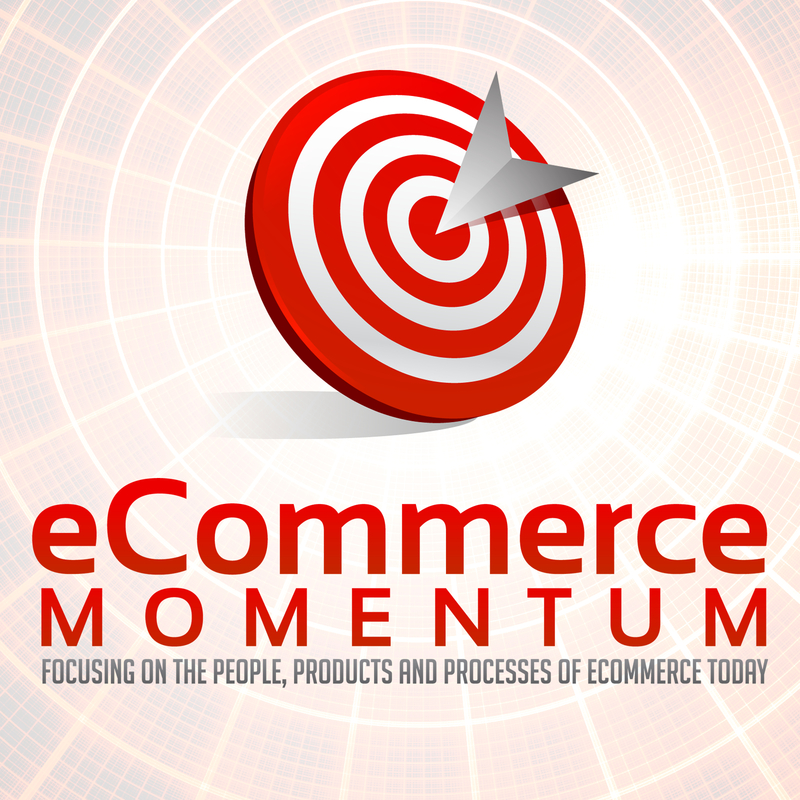 Welcome back to the ECOMMERCE momentum podcast. I’m excited about today’s guest. New Speaker: 00:09:45 This is a different kind of guests. This is somebody who’s going to help us help each of us who are trying to build brands. Those of us who are trying to be something more to create a lasting, maybe a legacy, maybe a, a bucket list item, something more than just selling stuff. Not nothing wrong with that, but there is something cool about creating something. We’ve all watched that shark tank and we see that, that, that excitement in those inventors or those people who have figured it out and I think we have found somebody who’s gonna help us. I’m very, very excited. Ng Gordon [inaudible] Gordon. Welcome. Welcome, welcome. NG: 00:10:24 Hi, it’s great to be here. New Speaker: 00:10:25 Well, it’s great to have you here. Um, and uh, let’s just start first because I want to hear this story because it’s crazy to me. He has a website and it’s called Dear Miss Shu Dad. So it’s deere, d, e a r like love Misho m I s h u, which I don’t know what that is. And then dad. So I assume you have a child named miss you, is that correct? NG: 00:10:50 Yes. Yes. Oh, you did. I was blown away. I’m like, alright, you got it. All right. Tell us, tell us what that’s all about. Okay. So take a couple of years ago, I was very heavy, uh, dealing with Amazon or if you go to China exhibit issues, finding good, then you’re not doing like a private label private label or private label and doing this for a gating sampers back and forth, back and forth or sending a year later coming up with the product and a catalog on my website and a very excited. I was so excited. Deck out shooting thousands of product going to be solved immediately or in a catalog, what could go wrong, Unicorn little angels are going to be coming and picking this stuff up and it’s just going to be harps and it’s going to be beautiful. And it was neat, neat to get trust, need to do something and it was no choice. NG: 00:12:15 The something to make people to know about me and my cat, my bloody catalog and also to trust it and then to, to, you know, so many things there related to trust. But I wasn’t sure what. Then after many, many months of research, I came up with a reward. Eat social media influencers. I realized that, uh, there are some people out there like us, we, we all have some kind of niche, right, is the right way to say it. Niche. We all have niche, right? So there are some people out there, they build communities and do community around very niche something, niche products and niche attitude on or id or something like that and really get the trust from the community that the beard for, for what the, the passion in that niche. And I said I got to connect with them and make them, make their community trust my product. New Speaker: 00:14:52 age, but. But, but that was the way it was done back then and that was my point. I don’t want to miss this. Yeah. That was the way that when you wore a shirt, I was going to be you. Right? I was going to be as good if a player has ng because I wore the same shirt he did. So you, you were the influencer. You were, you had your 15 minutes of fame, my friend you were. And so that was way back though. New Speaker: 00:15:29 it’s very cool to me to think back that that was the only way you could do it. And Man, that must’ve been hard right here, you five years ago before anybody really started this, started thinking this way and I think this is very cool to me. I’m very, very smart. All right, go ahead. I didn’t mean to cut you off. I just don’t want to miss that. NG: 00:15:50 Equate second drinking coffee together. NG: 00:16:03 right. Okay. Still. Yes. So where were we? Okay. New Speaker: 00:16:10 So you started five years ago, you said, hey, there must be somebody that can help. New Speaker: 00:17:50 book and inspired by my dog. Me Shoe be shoe is a dog. She’s a dog, so that’s the one that’s in the picture with you. Okay. I see the dog. She’s my daughter, so my child and she’s my best friend, so I don’t know what I could’ve done if she was not near me in the office where I walk every day. I think that that is such a healthy, very healthy because this is a lonely business and I think what you’re describing is a very healthy thing. So I want to pause for a second because this is five years ago, this was not. This was cutting edge stuff and so your vision was this. I’m going to basically create my own influencer. I’m going to create a demand. I’m going to create something interesting that people are going to go to. Therefore I earned their trust. I therefore a earn the right has always. Gary v says, I’ve earned the right to be able to market to them eventually. Correct. New Speaker: 00:20:21 right? It’s got to be real. People will see right through it. NG: 00:20:25 Yes, yes, exactly. And you need to wake up and nothing. Oh, you choose to create money. No, it’s not what I want to do, you know, so I created her actually to have people. NG: 00:20:48 there what were people saying? So I put the look of thought into that and I decided that uh, so I did a lot of market research, like all of us, you know, before we start do something, you do market research and I’m very visual so I decided not to just making the account of celebrity slash influencer that someone holding a puppy. I saw that the world doesn’t need that. Just another person was sending me pictures on Instagram Holding Acute Chihuahua. No, I decided not to do that. Instead I had the account is an advice column columnist, so she’s an advice column East. So she’s having a blog and instagram and twitter and she’s answering questions later that receive from her three times a week. The dog is answering, the dog is answering phone calls help perspective in a simple way. Waitress resonate in a very, very deep because it simple just like this movie, this book being there, you know, as I said, they can imagine it. It’s really fun. New Speaker: 00:22:08 You know what it reminds me of, and, and I think this is again, this is cutting edge because not that long ago, this, uh, my daughter in law, my wife, they all got into these adult coloring books, right? Remember that? It wasn’t long ago. It’s like one or two years ago, everybody had these stinken things, right? That’s why people want to go back to those fond memories of coloring in dissonance. This is very similar to this. This is very, it’s very safe. It’s very fun. NG: 00:22:38 Yeah. I like, it’s that less worries, more worry free, you know, calm you down from the hectic life would be to know to be really like a dog. No. Alright. So fast forward you, you create it, you start to get a following. I take it, yes. Yes. Because the content is not too bad. It’s actually real content and it’s very authentic content as they said, the unique. And so people reacted and it, we started to get following and uh, you know, but working hard. What Stephen? Walking hard, like about four hours a day, walking hard on reading the four hour work week per day. All right. So that’s still 20 hours a week. Not too hard. Okay. Okay. I really didn’t plan to quote anyone who. No, no, no, it’s every four hours a day, four hours a day. So we’re making really good content of question and answer, like answering and the visual, a black and white visual art, you know, and also engaging with followers and there’s a lot of learning curve because I was not from that world so I had to learn a lot how to gain followers and how to get up and not only followers but followers that, that will, you know, join the community would, would become community that, that comes back to engage and to enjoy. New Speaker: 00:24:18 where was this done? At what, what, uh, what platform were you using? NG: 00:24:22 So, uh, the main platform is instagram, instagram. So, you know, really kind of first started. Yeah, it’s, it’s, it’s uh, yeah, instagram was still our major platform, however, but now she has a blog, twitter, facebook, some facebook. Not a lot, but yeah, mainly A. Yeah, instagram. Yeah, yeah, yeah. New Speaker: 00:24:47 They’re picturing this dog using their little nails. Keep hitting those keys right now. I love it. I love it. Okay, so this was, this was the sign, how did you know that engagement? How did you figure it out? And now we sit back and say, Duh, right. Everybody knows that engagement’s the key, but how did you know it then? That engagement was the key because that, that, that’s very, again, cutting edge that long ago. NG: 00:25:13 Yes. Yes. Because I read a lot of thinking then. It’s a hobby too. It was, it still is. It’s my hobby and my business and my dog. I came to school likely and just follow anyone, any sleazy company offer you him or something like that. I can’t do that, man. I have to make, I have to keep it real. So, but also so a lot of ab testing or even c and d tests in a lot of testing, man, a lot of, lots of, lots of testing. I can say you make mistakes, but I encourage myself to make mistakes. New Speaker: 00:25:52 Well, how did you not give up? Because that would be. I mean, this is where I think, you know, this is, we’re talking to Steve here. Okay? So Steve’s looking inward. It’s just, uh, you know, I get these great ideas or I hear this great idea and I’m like, oh my God, I got to do that. Oh actually I’ve got, I’ve got to do that. Right? And I start and I hope a whole bunch of people are nodding saying they do it too, and then it gets hard or it gets boring or it gets tedious and then I stop. And it’s like, I think of that acres of diamonds, how I get so close to it and then I pull back and I’m walking away from this giant cash of diamonds. Right? That’s what the cartoon is, but it’s just thinking about that. Um, how do you, how do you push through that? NG: 00:26:35 Yeah, no, I totally understand. You really need to be some kind of superhero yourself. Not to give out on that, to understand what you saying. Like most human beings, uh, yeah, when they kind of given up in the back, but I’m not, I’m not. I think it’s probably because other than to be very persistent and never give up from the tennis world, you know, I didn’t tell you, but when I play tennis, I played professionally in a half hour every day for 10 years every day, but also one in a half hour bus ride to the tennis court, to the tennis center and coming back. So three additional hours in the bus. NG: 00:27:31 that have really learned commitment. A real and hard work is fine. It’s really fun to do hard work. If it’s something that you did you really love and want to do, it’s fine. It’s okay and he and you need to be passionate. I liked, I like it so much, you know, I, I like miss you so much and I liked to and also I felt that I, I’m, I’m part of something new in the marketing world, which is really intriguing for me. This in the marketing world or any word is not something really, really new coming up every day. Right. So this is some kind of new subsegment of branding and marketing and social media. It’s really intrigued me. So there’s no way I’m going to quit this. No Way. New Speaker: 00:28:23 So when you think about like today, right? Because I think everybody’s trying to stand out, especially on Instagram, right? Is so hard. I don’t mind. I don’t know how many, you know, millions of hundreds of millions of users out there and standing out. I mean, is it, are you, do you think it’s, are you got experience with this? Is it better to be you real genuine or to create kind of a persona as you did because you see you have a persona about you, right? It’s not, it’s not like Ng is, is the focus. It’s me shoot. Right? What do you see as better? Uh, uh, take away the celebrities, right? Take away the Kardashians and stuff. But what do you say? NG: 00:29:09 Yeah, exactly. You know, I’m, I’m a speaker on this topic and I wrote a lot about that as well as play with dead forever and do meet you. Become an influencer by now. And I can tell you don’t believe all those articles that say that to become something you need to be something. It doesn’t work this way. It’s normally quite. And if the was that everyone would be right. So sue, sue the many, many research activities that I met in the field. I can tell you that, uh, an influence that can be charismatic or not charismatic, he or she will eat for a dog can be interesting or not interesting. They can be someone that you agree with or had, they can be so many things and it’s so contradicted. So also many people say you got to be authentic. What does it mean man? I mean, this is even if you non authentic doesn’t need to make your authentic by being authentic. New Speaker: 00:30:24 Well, if you’re an actor, right? I mean, if there were an actor that is their job, right? They’re 100 percent trying to be somebody else. So I think you’re right. I mean, I think so. Then what’s the answer? So you just gave us even here, you just opposite to answers, right? So what is the answer then? NG: 00:30:41 Oh, very, very. So every different kind of goal that doesn’t, he’s fine. Don’t find yourself persona. You hug it, puts on our end target debt to them. And I know it’s really hard. It’s really, really enjoying when you have a new product to figure what’s your target persona, but you got to do that. That’s my advice. And once you do it, then you can figure out what’s your need or not need, what is something that you can build community around it that you can contribute and just tested, tested, tested, tested. And if after six months it doesn’t work, then test something else. That’s my answer. New Speaker: 00:31:31 That’s your answer. So it’s basically try. It does help though that you enjoy it. So if, uh, if for example, if I had to, you know, take a cat that I’m just making this up, that they don’t like cats, I do like cancer, please don’t send me notes. Alright, so if you, if you. But if you forced yourself there, it could come across fake unless that’s what you were trying to do was be fake. Right. And then that will be, it’s almost like a Shtick, right? As they say, right? It’s almost like that. NG: 00:32:02 You got a fingerstick yeah, exactly. Exactly. And you can be fake or not. You can be authentic the scientific western dog on your face or not, whatever. Find a person that you want to target with test on them, but don’t say think about selling anything. Think about creating a community around your posts, around your content. That’s the menacing. New Speaker: 00:32:30 And that’s a great segway where I’m going with this. So it’s important. That’s the focus. The goal has to be to create a community. And then, I mean, but you know, I’m a, I’m an opportunist. I mean, I hate to say this Nisha. So I’m sitting here thinking about, you know, hey, how can I monetize this? Right? That’s what everybody sit back, right? And so realistically when I create that community, I can eventually do I earn the trust and earn the right to market to them. Is that fair? NG: 00:33:02 Yes. Okay. Okay. So then what so called delay the sale. New Speaker: 00:33:11 That’s not Steve’s way. Steve wants immediate satisfaction. That’s why I’m overweight and I wanted immediate gratification. NG: 00:33:18 Yeah. But we talk on marketing, digital influencer marketing. It’s so influenced, et cetera. Right? So marketing is marketing and say, Sarah, so dcs, marketing you need to make. You need to bring people in the community trust awareness, and then you can offer them something. New Speaker: 00:33:38 Well, the other thing that I think you get is the thing that you might not. The thing you were thinking about offering them might not be what they want. They might suggest to you. Like I had an, I had an interview with a gentleman who’s in, who’s in the barbecue field and he’s an. He joined a whole bunch of barbecue groups. We’re talking to crazy barbecuers with the big grills. They pull behind, you know, the cook a whole pig and in that’s his research group. They say the problems that they have and then he brings them tools to market to them to help solve their problems. So this is another benefit, right? That could occur. NG: 00:34:13 That’s perfect. You build that. He or she be the community around barbecue and then he, he, he touched a pen palling and you offer something there. That’s perfect. That’s the right way to go. New Speaker: 00:34:26 And so, so how long does that take? I mean realistically, what’s a reason? Is it a year, two years, six months? I mean, what’s a realistic timeframe for somebody who wants to build a community because they want to eventually have a brand because ultimately that’s where we have to come back to it. We sell stuff. People listening to this podcast right now, sell stuff. Don’t sell enough. They want to sell more. NG: 00:34:51 Okay, so good question. And by the way, I hate when people say good question every time and it’s okay, but I was still in the one time, I hope I hope her a couple more. I don’t hit anything necessarily. So this is really important when you build a community or your instagram account or youtube account, it says bay. Now we know that it’s not the reach the number of growers that is important. It’s not. So when you say how long it takes to be an account that people trust and you can start sending blah, blah, blah, then it’s the target to not be the quantity two followers really. Okay. By now the people in DC in this field like me, we know in this proven scientifically, and actually it’s not a number of your followers and you can be a micro influencer with only 50 followers. NG: 00:36:04 Way. That’s a term I’ve not heard. A micro micro influencer. Yes, yes, yes I did not. So I can at the podcast. Not that I can send you the how you define. So the top of the tree. There are celebrities that that’s over 1 million followers and before the other tiers they are Mako in days, a media influencer and there’s micro-influencer micro-influencer adjust people with community and they don’t have tons of followers because don’t no need, so it’s between 50 to 10,000, that’s enough 50 to 10,000 followers, but very, very engaged people that feel very relatable about you and about what you said. It feel very relatable. They, you know, they come back again and again and the comment and the share your content and they participate in the discussions so and they trust you. So 50 is enough dusting piano importer of pianos from China that has 50 very, very dedicated. NG: 00:37:26 They really love you. You literally what you do. We love what you say, but piano 50 isn’t that enough? I mean, piano is several thousand dollars, right? But they love what you said. They love you. They admire what you save at Pianos. You understand what I mean? I do. And I sit back and I think about that, that example that you gave 50 people that were interested in an expensive item or if they were important, whichever. That’s probably a big segment of the market. Yes it is. Yes it is. That’s why it’s not the rich. The rich is a different word for a number of followers. It’s not the reach the opposite. The more people influenced, uh, have the harder it is for that influence it to keep engaged with them, with each and every one of them. So no more that you can hire or make your own community. No more than 10,050 is 50 up to 10,000. That’s more than enough. So it doesn’t take that. It’s not supposed to take too long. But most of your listeners, I don’t think they can do that. New Speaker: 00:38:39 Well, I sit back and think about that. So you mentioned engagement. So with 50 to 10,000 people, and probably most people are at the lower end of that, I would have, I would expect. What do you consider engagement? What? Is there a roundabout? You know, if I got, if I put a post up and I get 100 likes or comments or combination of the two, is that a good. I don’t know what, how to get afraid. NG: 00:39:10 This misconception or misunderstanding of engagement. Read Manga. Amazon, Ebay vendor for sure. Two percent or more than two percent is very good. Considered very good engagement. So the answer is two percent and above. New Speaker: 00:39:30 Okay. So two percent is very good engagement. So that’s not even like. I mean, so that’s an outlier. Two percent is an outlier. NG: 00:39:37 Yes. But not make a note, not fake one. Okay. Okay. New Speaker: 00:39:45 And what is a fake engager? Because I, I mean I know there’s a whole bunch of that out there so, but I just want to say that. So on $10,000 at the high end, if you had 200 likes or comments combined, that would be very strong engagement. Fair. NG: 00:40:01 It’s more common. It’s common. New Speaker: 00:40:06 Okay. That’s engagement. So a like is not, that’s just somebody clicking, that’s not engagement. NG: 00:40:10 Yeah, that’s something else. But I’m not saying it’s not good, but uh, yeah, it’s engagement is what can’t. Because when people do like, it doesn’t mean that the really engaged. New Speaker: 00:40:22 Right, right, right. They’re just so. Well then then what about how, I guess this is where it’s leading to a million more questions, you know, if I have 10,000 followers and I’m only getting four comments on a post. Yeah. Clearly I’m not connecting with them. Fair. NG: 00:40:39 Yes, yes, yes, yes. Uh, it’s not hungry. Maybe you let them, you know, there are some things to consider, like maybe you made them think about that and they come back later, or maybe your audience. A introvert that’s power from data scientists couldn’t Soviet. That’s some introverts. They’re, they don’t frequent anything that may still hear you. New Speaker: 00:41:08 What does that mean then? I’m not posting that. Right. So let’s just say I’m not posting the right way. There’s yard, there’s the art. Okay. All right. NG: 00:41:17 Yes, that’s right. That’s right. And about your question about fake. Um, okay. So how connect fans. So if you are really clear ways to check if you got followers or engagement, they usually comment like robots or like zombies. I can tell you really. It’s like the like Zombie come to earth and made the comment on your. New Speaker: 00:41:46 Yes we are. We like your stuff. NG: 00:41:51 Yes. Some faith or lack your page. Your page is beautiful and it’s very generic. It’s very generic. Convene or it can be even more weird than that. It’s really. And very often they don’t even have a picture on the profile and they don’t have any bio on your instagram or twitter bio. They don’t write any single. They are, they don’t post anything. They don’t have the post. And uh, therefore growers, they don’t have any followers usually very often they don’t follow anyone and they just robotized to comment on some people, you know. New Speaker: 00:42:36 Well, let me ask you a question there because that’s probably an important point. If I was trying to be an influencer, a local celebrity, whatever it would a micro influencer, if I was going to try to be that, then is the smart move to police that and make sure that I, I filter those out to keep my site is my, my, my, uh, my, uh, my account, my account, my feed. Yeah. I know there’s an old dude talking this stuff. It’s so weird for me, but it’s to keep my feet, so to get them out, to keep them out, kind of police it. So when somebody does come and say, Hey Steve, I’d like to get a, I’d like to market to your audience or I’d like to borrow you, which we’re going to talk about soon. Um, would you support me? Then they know that I’ve done the work and this is a valuable group of people. Is that smart? Uh, please try to expand your quilt. Otherwise, I think size matters, right? I think guys like, Oh, I’ve got today, how many instagram followers do you have? And Gee, you know, it’s like a size thing. And I was like, Oh, I’ve got 10,000. You know, it’s like, Eh, you know, it’s a male measurement tool. NG: 00:43:47 Usually people think this way. New Speaker: 00:43:49 Yeah. And right and so is the smart move, the long play to get rid of this 7,000 that are crap, that aren’t doing anything and then get dropped down to 3000 solid. And then when somebody says, Hey Steve, I’m interested in your group, I can say, look, I’ve got 3000 solid engaged followers. I police all the junk. NG: 00:44:12 Yes, yes. Uh, so yeah, unfortunately do networks, the social networks do not give us tours, police, but they are trying to police themselves and actually they’re doing really good job recently. It’s just to imitate the just deleted and the cute deleting the fake accounts was that us doing anything hand free? So, uh, I think the ESA reside, you don’t need to do anything. The algorithm of facebook, instagram, twitter, and then they lead themselves just that Jimmy did with spam emails, they do the salmon, then we do it quite successfully. So don’t worry about that. But your point is right. Do not use too much effort and hours a day with, with doors that are fair or not related to you or just, you know, just focus on those that are real. Yeah, for sure. Then you’re going to build a better community and the people that you know, they will like to follow you forever. New Speaker: 00:45:23 Okay. And you’re like, I think you used a good term there that are connected to you in some way. So for me, I’m an ecommerce seller, right? Or I’m in that world. I like stuff like that. So the dating ones that show up in my thing are probably not relevant to me. And so they’re the ones that you get rid of. Right. Those are the kinds of things to take out because this is not a lot of value there. Okay. All right, that’s fair. Just don’t focus on the dating and toil. No, I think my wife might have a problem with that. That’s probably a bad move on my part. Okay. So, so, uh, let’s talk about. So you’ve been able to create this, this group, you created this thing, this, this group, way back now. They exist everywhere, right? These, these micro influencers, they’re in every niche, so in any commerce, for example, there are lots of them, right? Just tons of pump and so I built this brand. I’m selling this water bottle. I’m looking at a water bottle on my desk. How do I find influencers because that’s one of the other things that you you really become an expert at is helping me understand how I can find best fit is the term you use. I think that’s the right term because it’s different for everybody and what they’re selling, right? Or where they are. How do you. How do you start advising people? What what? What’s the. What’s the approach? NG: 00:46:45 Yeah. I’m going to give you a process. If you follow that process, which is based on many years of experience, you’ll be able to search, find inconvenient care too is a best fit for you. Just let me know when you read the. The best is to open instagram so you can see what I’m talking about in front of you in a visual way. New Speaker: 00:47:13 All right. I got mine open. Everybody listening. Pause. I’m going to give you a second. Open your instagram if you don’t have one. Turn on your computer or put on your phone, whatever. I am doing it on my desktop, but you can do it on your phone too. Okay, so I’ve got mine open. New Speaker: 00:47:30 I’m ready to go. Okay. I seen the ready. Okay. So I’m going to teach you the Chevy Chase. The hashtag process. That’s how I quote chase the Hashtag process. I love it. Okay. So you open the APP, you open instagram and you do a search. You see these flattened the search button usually at the bottom left. So you do search of Hashtag. Uh, I hope your audience know this. You know what a Hashtag or pound sign. Everybody knows that that’s a pizza. Any topic. Yeah. So when you do search for a topic that is the most, most very, very, very related to what you do to your brand or to your product. Okay. So my product is a water bottle that’s sitting on my desk, so. Okay. Hashtag [inaudible]. New Speaker: 00:48:50 too general, so less than half a million. So yeah, I would think you would want. This is the eve, this is why he doesn’t do well at instagram because you would think, oh, I want to be in the biggest. Again, this is the male measurement thing. We want to be the big group. Well No, it’s too generic. NG: 00:49:07 Amazon listing. If you work in something that don’t have many vendors, you have a better chance. Right? New Speaker: 00:49:14 So if I did water bottle, I’m going to do that real quick. Hashtag model. NG: 00:49:17 So you do. What about, tell you when you write, what about them? They’re there for a process to choose. One of them is Hashtag [inaudible]. Hashtag search. Do you see there? It’s sort of the top. Yep. Okay. So you click, you choose the Hashtag of worry about it. Let’s say. Let me do that too. Yeah, so that’s good actually, because it has only 430, 9,000 public post. Very good. Click on it. New Speaker: 00:49:57 Okay, I’m going to click on it. All right, boom. Guess what? I see water bottles magically thunk it. NG: 00:50:07 Very cool. So on the, on the top, do you see the top there? New Speaker: 00:50:13 A top posts? NG: 00:51:20 of course, if, if it’s a vendor, then of course going to gone to the event to be your influenced and influence that people listen to people. Right? New Speaker: 00:51:32 And here’s the next guy and I want to use him. So David Ford, f a R, d e a call out David Ford. Um, he, uh, so he doesn’t look like he’s selling anything. He’s got his. Maybe he is because he’s got. Oh yeah, he does hand painted blueberry, 40 ounce hydro flask, direct message to custom order. NG: 00:51:57 So he is, he’s selling something to these guys might be endorsement course. NG: 00:52:08 yeah, yeah. You compile your list of 10 of doors and then you got to each one of them and see people that sometime in dose or the vendor you choose. Okay. So should I continue? New Speaker: 00:52:22 Yeah, I think this is a good example because this is when I go and I talked to that person and say, Hey, would you promote my. That’s really the concept, correct? NG: 00:52:33 Yes, but wait, wait, okay, so why is you see the surgeries that you can have doors, top influencers. Then you do a search and you see which one you liked them all and you got to wait not to talk to them yet. Not to close a contract. You got to follow those top influences daily or four times a week for two weeks. So for two weeks you have a patient. You need to have person, like you’re going to get married with this guy. New Speaker: 00:53:13 So you’re watching them, you’re watching. It’s like you’re right. You’re like you’re dating and watching them how they behave, how they talk to them. New Speaker: 00:54:02 and what you’re doing is you’re starting to look to see if it aligns with you. Is that what you’re thinking? NG: 00:54:08 Big Time executive got to be aligned with you. It got to be someone that will have a heart for for your, for what you do otherwise, but everyone can tell that they don’t have a heart and they don’t have alignment with what you do. Of course. Yes, of course. New Speaker: 00:54:27 Yeah, and so that takes time and you say about two weeks, so you should be able to get a reading. New Speaker: 00:55:03 and what’s the discussion because one of the cool things that you have on your site, and this is one of the big giveaways that injury is giving us is he actually has sample contracts because that’s a big deal for people. This is very intimidating and you actually give for free, which is very cool. Desk, a free download. No, no, a sticking point. It’s right here. He’s not checking your email name. He’s not requiring all that. Of course he’s gonna try and sell you something. That’s what he does. May Not understand then. That’s fair, right? No commitment attached. So that is cool. So I get that. But what is that first? Is it because I had so many, just a good example, somebody just approached me. Hey, uh, they were, they sell custom jewelry on etsy and they sent me a private message under, in my instagram and the like. Do you help launch products? Is that kind of what you’re talking about there? NG: 00:55:54 Yes. Yes. I mean, if you send a message to someone, do you have. That’s beautiful. Actually. We’re not going farther than that. You know, very short. The, the influencers are very busy. We work really, really hard. You know, many, many hours a day. Many people think that influencers are entitled Sport, but actually it’s not like most influencing not just small business owners to dent or a justice as someone who works day and night to build community, to beat Instagram, to publish, to a, to market. The publishing tech, we work really, really hard. So if you send a man said, just make it very short. I can give you a template for the message if you want. New Speaker: 00:56:47 Yeah, that’d be great. I mean I would love to have that message. That to me and then I’ll put it in this episode for people because I think. I think there has to be because you’re not, you’re not trying to sell them yet because you don’t even know if the rain. Like this lady, she was very kind. She was very nice. I don’t do that stuff. So I just wrote her back saying, Hey, no, I don’t, but here’s how some people are doing it, and I gave her a couple of ideas and I didn’t want to. NG: 00:57:09 You want her to know usually one or two things. One A. do they like your product? I mean, do they okay with your product? You want to get a feeling you’re okay with your protocol, your brand into how much. That’s the only two things that you want to know. So the message should be taught that. Very similar to the point. Don’t waste your time and time. Just make it very simple. New Speaker: 00:57:36 Well, let me ask that question because I think that’s a, that’s an interesting point. So you’re asking them how much, um, what I’m trying to think of the best way to ask this because I’m thinking, does you know, does that, I know you always in a negotiation, you always want them to put a number of first, right? That’s always the big negotiation tool. Nobody ever. You never want to talk first in this scenario, are you just by saying to them, how much does that give away the chance of you just giving them product? Because sometimes, right. Some of the things you can do is just give them product, right? You don’t always have to pay. NG: 00:58:15 No, that does not really. Yeah. It’s kind of, it’s a must have. It’s kind of disrespectful. Again, the inferences walks really read a graphic designer as an seo expert that you’re hiring, you’re not sending them a product. They do graphic design or Seo or brand rung for you. Right? New Speaker: 00:58:42 So it’s now a job and that’s what you’re saying is this is a job for somebody and so I’m dismissing the value. If I try to give them. I’m cheap. I mean I’m that guy. NG: 00:59:22 you from out from the vendor point of view. Look, if you like asking a favor from someone, then the reserve more chance for being not that great, but if you like make someone committed in the contract, you know you pay them, you’re going into these very committed, they have like responsibility, have liability to do it right, so they’re going to write a great, great content for you in which you can reuse all year long in your market that’s already amazing value and then not only that, they’re going to distribute that content to debt to their community, to people they trust going to trust you because of them. So why not, you know, treating this in a professional way that’s not expensive, especially the Michael inferences about that. That’s a good question because very inexpensive. New Speaker: 01:00:24 What’s that mean? Inexpensive. I think that’s relative, right? So give me an idea what you think. NG: 01:00:29 Sure. So it’s between 200 to $500 for a grit post, one post, one post by micro influencer, yes, but I recommend to hire for two posts because. And that’s another detail one and give because what we’re using, if you in a community of sunlight and that guy that influenced that post recommendation to buy product only one time in how hung is 64 days. Sec does it like and then he never mentioned it, never write it again. It doesn’t look so believable. Right? So I really recommend to have more than one post. NG: 01:01:38 if it’s really. So that’s why it’s important. It’s recommended to have a contract. So it in a contract, you write that it’s yours and you can really use it anytime, anywhere. So that’s why you need the contract. Some of the most of the influences, a very naive, the good people, you’re not just evolving. So even if it’s not treating the contract, you send them an email to ask the concession to the approver to reuse it. They’re probably going to agree. NG: 01:02:21 in once you to have good return on investment, especially the professional ones, that’s why it’s important to deal with not $5 universe. Insert your brand here. Uh, a influencer, but as someone very specific to the Hashtag that we talked about and contract them and pay them, pay them and make it professional. Yeah. New Speaker: 01:02:47 When I’m in an example, so let’s take that a step further. So, uh, you do this great thing for me. You create a post or to post it goes out, um, I start to see some results. What’s the best practice to take? And make the most of that. So you did it for me already. How do I as the brand owner or the guy selling stuff, how do I maximize that so I can get more mileage from that? NG: 01:03:16 Okay. Okay, good, good, good. So, uh, how to maximize first those influencers, they created an community of people that trust them. Okay. So it’s really important that you want force the influencer to post something that looks sick, your advertisement, they really know what to do. We know how to. I want to write that, that relate to their people, to their community. So many vendor make this mistake and just forward the influence and another bloody advertisement that they have. And then the just posted everything because does a great content writer, does the influence really know how to write content. So be. And then the next story around your brand, you know, usually asked. Yeah, usually we, we, it’s really hard for us to write a story around a brand and to do branding. Let them do this for you, you know? Well, it’s more real. We’re back to that genuine realness again when it comes from a hundred percent real yes, exactly, and even if you write great content, so after a few months it’s getting boring for your audience, right? NG: 01:04:40 So it’s great to have the influence of this amazing content for you putting in writing content. So give them the freedom to to write the right content for, for their followers on, on your brand. Of course, under the contract you, you need to approve it because you need to check spelling and the name of the name of your brand and if you want them to attach a link is there, and if and if they write something you know in appropriate, you want to be sure you know that if you don’t want to target something to do with religion or politics and the royalty there, then you to tell him, hey, leave the politics away, da Da. But let them have the creativity freedom. New Speaker: 01:05:29 Well, it leads to two questions when, when you say, that leads me to thinking two different things. One is because you advise me to make sure that they’re not selling a lot of stuff, right? They’re not over posting. Is there a rule of thumb that I would look for first? That’s my first question. So when I’m looking for an influencer or am I looking for somebody who’s done, who’s done a few of these as in that two week cycle, maybe one or two and then second, do you go back and use them again? Is that advisable? Or, or if and if so, how long is the period of time? So I guess that’s three questions in between. New Speaker: 01:06:38 and, and then there’s, there’s almost like a credibility because you’ve been endorsing me now for a year or two years. That’s okay. NG: 01:06:46 Yeah, that makes sense. Okay, that makes sense to me. You know, if you’re higher seo expert and they do really good job for you. Yeah. You know, you can carry on with their graphic design now someone to tap you to make money or bring a branding of course, of course. And now I cannot remember the other two quick. New Speaker: 01:07:08 I just want to pause on that. What you just said to me. It finally clicked in my head because I have to think of them that they’re providing a service and I like an seo expert or a graphic designer. You think of them the same way and therefore. Okay. Yeah, I get that. All right. So. So my second question was was how do I know that they’re posting too much in that two week cycle? New Speaker: 01:08:43 and that means people aren’t going to be in an. Okay. All right. So the goal then of all this is really, you know, the goal of my pocket, so we talked about this before, is that is to help people get stuck in this world. Right in there. They’re selling things and they’re building brands and they’re trying to figure out how to do social media. Um, and there, it does seem overwhelming because you know, you’ve got to post a lot, right, if you’re going to build your own, but in your world you’re saying to me, hey steve, that’s great. Like, Dear Miss Shu, was you doing this for yourself now? I don’t need to. And so I think this makes it much more men. It’s like hiring a part of your team. It’s like building out a part of your team and I think it’s, I think it’s a much, it’s a fresh approach I don’t think a lot of people are doing and there are some outliers that do in our group that have done and have done well with influencers and there’s a lot of people who have hired influencers and how have not done well, how do you, what’s an expectation? New Speaker: 01:09:45 I think that might be the way to close this out is to think about what should I expect, what’s reasonable for me to expect? NG: 01:11:38 yeah, yeah. I get it and get it. I get it. And many people don’t get it. Many people, even d, do you mean she now is, is hired to do influencer marketing for Brian. She likes. Okay. And a faith and I said, okay. Yeah, sounds good. That really like your shampoo for parents. It’s really awesome. Uh, what’s, what’s your company story? Many of them, almost all of them do not know to tell me a good story. New Speaker: 01:12:13 So if they used it on their own dog, will you develop this to for our own dog because we weren’t satisfied. And now we, we love our dog, we pamper our dog. That would be a story, right? That’s better than just saying we’re the best out there, right? NG: 01:12:27 Yeah. That can be so. But it’s between you and me, it’s not that interesting because most people say this is the pain point is the point like to say why, why you need that, but the story is, is more like something to read inspiration, you know, something beautiful about inspiration, like a jumping in the air and I feel really happy about something and debts, why I’m doing that. And I find some story, something interesting, you know, something inspirational. That’s the water with inspiration. Inspire. So saying that, oh, I solved this problem yet. I believe you. But it’s not. There’s no inspiration. There may be. Maybe. So I really recommend to define your story. Okay? And yes, the inference that can help you with that actually, that can help you. We stay by you. Got You. Got To. If our command for branding coming out from this conversation is that so you can eat very often, you often, you have a good story. You just need to to find that story and then not catalog, not just posting catalog on, please, please don’t. Please do. You’re not. I’m going to the own shopify. There is a form of vendors and the and the US have many vendors and I go there very often and I’m trying to help and they say, oh, I set up a website. It’s so beautiful, isn’t it beautiful? But no one come on, no one convert. And the same problem. They don’t have a story. New Speaker: 01:14:07 The only thing they can compete on is price period. And that’s not, that’s not a good model. New Speaker: 01:14:12 Yeah, it’s not going to be, you know, when I looked through your site, um, and so you, you offer courses, um, that’s one of the things that you sell. Okay? And I’m going to let you pitch your stuff. You, uh, you have a marketing mastery course and only 10 bucks each. Everybody. I mean, these are 15 hours for $10. I think we can all afford that. Um, but it’s real. It’s real value. So if you really are interested in learning this stuff and if you’re building a brand, even if you’re selling somebody else’s brand. So, you know, one of the, one of the interviews I just had out was with Christian for hoover and he talked about this, that when he took his private label class, he learned so much more about his wholesale accounts. He went back and applied that to his wholesale accounts. New Speaker: 01:14:57 So what’s big in this world, ng now is where we get exclusive rights to distribute on Amazon a vendor’s product. So instead of having 100 people sell their product, they want one or two or three, whatever. And you have to add value. I mean, that’s one of the big things that you have to do is add value. And so this is another example. Where should I be adding value to that vendor’s, uh, a business meaning coming through me to sell more stuff? The answer is yes, this is the value you can do for a vendor that 99 percent of the people don’t do. Correct. NG: 01:15:35 Correct. So I’m sharing my experience. You know, most of the people in the business of influence or marketing analysts. So they’re coming for war. So Dave, you have a how to have Amazon vandal is very different, it’s more like database, seeing statistics and all that. They never been on the other side and on the other side and I was on the influencer side so I really, really want to share my knowledge and it came in recently, decided to change my career to become a teacher, really feel that I want to teach to teach people what I know and I know a lot and I’d be happy to a coach to teach being to do, to do the director, uh, and uh, to writing a lot. And yeah, I also created a class. It’s on Udemy and soon to be on Amazon too. New Speaker: 01:16:44 Yeah, that’s cool that you’re going to be a video vendor. That’s very cool. NG: 01:16:47 I think so too. It’s our zone video direct. New Speaker: 01:16:51 Yeah. That’s very cool. But you just sold, I mean, you know, I don’t want to downplay this. I mean it’s, you know, I did the math. I mean you, you sold 70, 80,000 of these courses. I mean, so it’s, there’s obviously somebody, people were buying it for a reason and so you clearly have connected with people and there are, there are one, two, three, four, five. I see 10 different right here and I’m sure there are more, um, where people can figure out the piece that they need. If you need and you must invest in you for 10 bucks, come on 10 bucks. Come on. NG: 01:17:22 Yeah, already regional press is full, but it’s a new course and I want to get you or it’s only a nine, 99 or something like that coming. New Speaker: 01:17:36 The other thing that I think is very valuable, again, you got to go out to a site because there’s a ton of information. So again, and I’ll, I’ll, I’ll say this site, so it’s dear Misho, d e a r Mishu m I s h u dad.com. And then you start clicking through and you start seeing the quantity of information. So first thing there, download the influencer contract. So if you’re interested in this, this is a great starting point. You get a legal contract that you can use, modify it for yourself because if you’re dealing with somebody and they don’t have one, um, anybody who’s done contract would always want to use your contract because it’s written a little better for you. And so you want to make sure that that’s done and as he says, you really want to make sure the understanding is there, the clarity of expectations on both sides, but then you start going deeper and there’s a blog and there’s lots of story. There’s, where I could have learned about a micro influencer is Steve, right? Um, and then you have a whole bunch of content here and it’s all free. Um, and then he listens to you, to me, you dummy courses and it tells you exactly what you’re going to learn. I mean, I, to me, again, it’s a very, it’s a jumpstart to get to these, um, to this knowledge. You’ve got to buy time as a Mitchell Lipo. He says by time and so for 10 bucks, that’s a sweet deal. NG: 01:18:49 Oh, thank you. Thank you for the motion. New Speaker: 01:18:52 Well, now you know what I, I again, I sit back and I look for value, you know, and I look for when I see him, the number of people that have bought your stuff, that’s what I look for people over time. All right, so let’s do this. Let’s close with this. Um, and, and there’s a contact information for a, M and g if you have any, uh, to reach out to him. There’s all kinds of contact information there, and I’ll put all this in this episode, but the goal of this podcast is to help people move forward. Who gets stuck? And I know you were like, well, what’s the best way to bring people stuck in this one? I think it’s, they have a product. I want to talk to those people that have a product and they look at this, they look at this instagram world and facebook world and they say, oh my God, how do I get in there? Now obviously they should take your course and they should do all those things. And, and I think you gave some good examples, shortcuts that we can use, but what’s, what have you seen that’s really worked well? Or what’s the advice you’d give to somebody over coffee or over a drink about moving forward? Getting started. What’s the best advice you got? New Speaker: 01:19:59 Well, because I think people get there and then they are ready. Aim, ready, aim. Ready. Yet they’re waiting. Was it the enemy of a good is right. And so nobody, nobody launches. Right? They just sit back in. They’re like, oh, I got to get this. Oh Man, I gotta get these. Everything’s got to be right. It does. It all have to be right. NG: 01:20:16 Okay. Okay. Sure, sure, sure. I have a device in this case since you asked. Okay. What first advise is any not only for social media, for everything. Live something. These, a lot of bs and a when do is not take it. That’s my first advice. NG: 01:20:51 and where does not take it? New Speaker: 01:20:55 So when it’s not like Steve go on a diet, you’re getting fat, that’s not bs. That’s real. Take the advice. NG: 01:21:01 Yes. Okay. What do you fear? Yes. The fear and uh, also the, uh, what else? Um, surround yourself with supportive people. Of course this is really important. I mean, for any entrepreneurs, like I just said the 25 years and universe who is my wife and I don’t know why we do, is that she’s so supportive. A few years I didn’t bring anything to, you know, and you will be new. So that’s, this is true what they say. And uh, also I also learned that you, you cannot leave during the materialistic stuff on me. That’s to empty. You need some spirituality too, so you can. So you want crash and BMT. New Speaker: 01:21:53 All those things are related. I think so. I think so. I think they absolutely are related. Yeah. And I think you can, you can do all three and still be successful and success is relative, right? Excellent. NG: 01:22:09 I think I’ve won one concluded centers for that wins. Three. Okay. New Speaker: 01:22:31 love it. I get it. You’re right. You got it. I love it. Hey, I’m going to put your contact information. I’m here man. I appreciate it because again, I think I think somebody who’s been doing it. So I mean what’s cool about us is you’ve been an Amazon seller for a long time. You’ve been selling stuff, so you get that mindset, you realize that it’s not going to just happen. You have to make it happen. So therefore you create your own audience and then you’re able to make the most of it. I think that that is a phenomenal way and I think now that there are a whole bunch of people who have done the same, you lead the way, they’ve all done the same. There are ways to not take advantage of them, but there are ways to help them help you and you give a lot of great information on it. And again, you know, on his website, Dear Miss, you dad, you’re gonna. See a whole bunch of that stuff, including that contract. That contract’s powerful. Get it for free. Hey, thank you so much. I really appreciate it. I wish you nothing but success. Cool voice guy: 01:23:32 Who’s really, really enjoy your coffee. New Speaker: 01:23:36 Great Guy. Great Story. I’m very neat to think about. Um, I love that, that he doesn’t realize that when he was in the marketing world, when he was a tennis player, he was marketing that tennis racket for that company they wanted to have, like he said, they gave him free stuff. Well, why did they do that? Because I like him. No, and he’s a nice guy, but the realistically they want somebody to see him swinging that racket. He’s doing well. It must be the racket. If I buy that racket, I’m going to be just like him. Now. Fast follower, he gets into instagram and realizes the same thing. Very, very cool. I think this is a good approach. As you get to that next level when you’re starting to think about where do I put my effort into, this is the place to start building that top line revenue. New Speaker: 01:24:22 Again, you build that customer and you bring them off on your own stuff, you own that customer and what’s the value of a customer? Look at shark tank. They’ll tell you what’s the cost of acquisition of a customer. This is a way to start working on that and I think this really cool. Check out his website is [inaudible]. Dear Miss You dad.com. Get that free contract and then check out his courses for 10 bucks. You know, if you get a little, you get a nugget from each one. I thought we said if I get one nugget, Uhm, I advanced and for 10 bucks I liked the price ecommerce within [inaudible] dot com, ecommerce momentum.com. Take care. 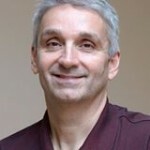 Cool voice guy: 01:24:54 Thanks for listening to the ECOMMERCE momentum podcast. All the links mentioned today can be found@incomersmomentum.com. Under this episode number, please remember to subscribe and the lake us on itunes. The service you get from Andy is unmatched, no one cares more about your success than Andy! You can truly see the results of your efforts! Find out more with Andy! Do you understand Private Label? Really?